The Ozzy Wrong Collection, Thrasher Hell of a year DVD, and more!! 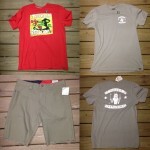 Need to get some last minute gifts for Three Kings Day? Well, don’t worry, we’re open on Monday January 06, 2014 from 9:00am-4:00pm! In fact, we’ll be open every day until Thursday, November 27, 2014! That’s Thanksgiving,folks! 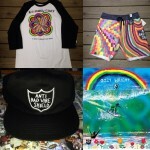 This week we’ve got some new gear from Volcom to help you start the year off fresh with the all new Ozzy Wrong collection! We also got in the new Thrasher(Feb 2014) (which includes a free DVD),as well as SE7EN, the latest from Innersection, and more! 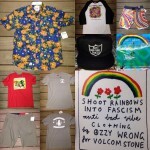 Ward off all those bad vibes and shoot rainbows into fascism with the Ozzy Wrong collection from Volcom! 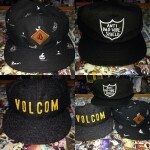 Ozzy Wrong got it right with this latest collection from Volcom to shield those bad vibes! New year, new hat! C’mon man, your old one is gettin’ kind of crusty! 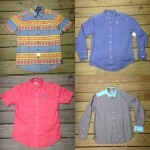 Getting a new shirt from Volcom would be a great way to start off the year! 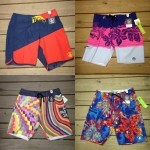 Your new years resolution should be to get some new boardshorts from Volcom! 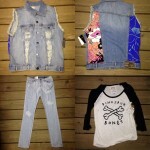 Start off the new year with a sweet new denim vest and some tight jeans from Volcom along with an Ozzy Wrong dinosaur bones shirt! 2014 is all about Canadian tuxedos! 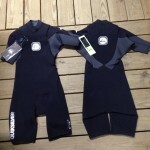 Some new Quiksilver chest zip springsuits just came in. Just what you need to stay nice and toasty for those early morning sessions! Not only is the latest issue of Thrasher jam packed with king of the road action, but it also includes a free “Hell of a year 2013” DVD featuring all of the best skateboarding action from this past year which was featured on www.thrashermagazine.com! Check the preview below! 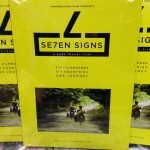 SE7EN signs is a brand new DVD from Innersection, which is a collaboration between six different filmmakers, filmed in six different countries. The DVD also includes INNERSECTION BLACK! Two movies for the price of one! Check the previews below!